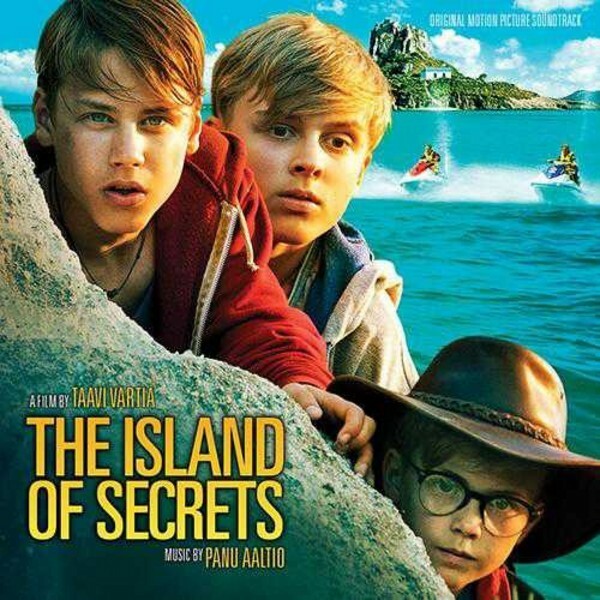 MovieScore Media travels to the Mediterranean with award-winning composer Panu Aaltio’s music for 'The Island of Secrets', a youth-oriented adventure film directed by Taavi Vartia. The contemporary adventure/action score pays homage to the classic 1980s blockbuster sound perfected by John Williams (the Indiana Jones films) and Alan Silvestri (Back to the Future). The music spans a great main theme for our teenage heroes as their youthful vigour is mixed with a hint of Mediterranean-flavoured escapism. “One of the main characters in the film dreams of becoming Indiana Jones when he grows up, so of course I had to play with that a bit”, explains the composer about his approach to the music. 'The Island of Secrets' marks the fourth MovieScore Media release with Panu Aaltio. Their latest collaboration was 'Tale of a Forest' (2012) which was voted as the Best Original Documentary Score by the International Film Music Critics Association (IFMCA). His other previous credits on MovieScore Media are 'The Home of Dark Butterflies' (2009), Finland's official submission for the 2009 Academy Awards, and the epic 'Dawn of the Dragonslayer' (2009). Training as a cellist since the age of six, Aaltio also studied music technology and classical composition at the Sibelius Academy in Helsinki and film music at the University of Southern California where he received the Harry Warren Scholarship for Excellence in Film Scoring.